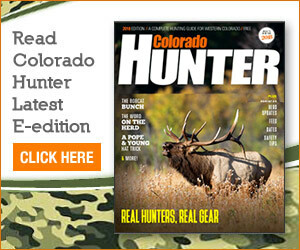 — Ron Velarde, northwest regional manager for Colorado Parks and Wildife, about feeding big game. CraigCraig — Northwest Colorado is famous for its wildlife. — Northwest Colorado is famous for its wildlife. Craig — Northwest Colorado is famous for its wildlife. Although big game animals like deer, elk and antelope are prevalent throughout the region, the number of big game sightings in the city of Craig has grown significantly in recent years. Almost year-round, small herds of mule deer, and occasionally elk, can be seen wandering right through downtown. As the number of interactions with wildlife continues to grow, so too does the temptation to feed them. But Mike Porras, public information officer for Colorado Parks and Wildlife, said feeding the animals not only has a variety of negative effects on big game, it also can result in fines under Colorado law. That’s why “we want to make sure we get the information out there that feeding wildlife does more harm than good,” Porras said. People feed wildlife, particularly deer, for both positive and negative reasons, according to a Parks and Wildlife news release. Some homeowners claim they feed deer to prevent damage to landscaping and ornamental plants, the release states. But Porras said the practice of feeding deer only attracts more to the area and can result in increased damage to yards. Wildlife managers recommend using barriers or commercially available sprays as more effective deterrents. More important than landscape damage is the fact that the congregation of large numbers of deer because of human-provided food increases the chances of also attracting predators, such as mountain lions, to residential neighborhoods. A wild animal’s natural diet can be difficult to duplicate, added de Vergie, even though the vast majority of people provides them with food that is harmful to their digestive system, including candy and chips. If attracting dangerous predators wasn’t reason enough, attracting large numbers of big game animals adversely could affect the local economy, especially for a city like Craig that touts itself as the elk hunting capital of the world. Large congregations of deer and elk significantly increases the possibility of spreading diseases, such as chronic wasting disease, that could eventually lead to higher mortality, the release states. To report incidents of feeding or other illegal wildlife activity, contact a local Colorado Parks and Wildlife office or call Operation Game Thief at 877-265-6648.